If you're rocking a Samsung device which hasn't yet been upgraded to Android 4.3 you might want to count your blessings, as it appears the Korean firm is still having issues with the latest version of Jelly Bean. Samsung has admitted to TechRadar there is a new issue, which we were tipped off about. 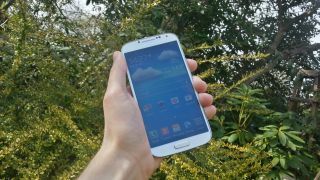 Our tipster highlighted that since the Android 4.3 update on his Galaxy S4, Outlook no longer syncs with the Samsung Kies desktop software or the handset. It appears that this problem isn't restricted to just S4 handsets, with many Samsung owners reporting similar issues over on the Android Central and XDA forums. What does this mean for users? Well anyone who relies on Outlook for contacts, calendars and email will be unable to sync these details with their Samsung handset - if it's running Android 4.3 that is. Fix coming in "near future"
We contacted Samsung to try and find out more, and a spokesperson for the firm told us: "In the near future, an improved Kies tool which will also support 'Outlook sync' will be released. "This new version of Kies 3.0 will be available in due course from www.samsung.com." Unfortunately Samsung was unable to tell us an exact date for the new Kies tools, but it's yet another embarrassing turn of events for the Korean firm, so surely it won't be too far off. Are you having issues with your Samsung post-Android 4.3 update? Let us know in the comments below, on Facebook or via Twitter. Thanks Bruce for the tip!